India is the world's third largest oil consuming nation, which is more than 80 per cent dependent on imports to meet its energy needs. Led by Modi, it has been very strongly making a case for oil producers' cartel OPEC to price crude at reasonable and responsible rates. The Organisation of Petroleum Exporting Countries (OPEC) will consider views of world leaders such as Prime Minister Narendra Modi, who represents the voice of a major oil consuming nation with seriousness before taking a decision on cutting output to support falling prices, Saudi oil minister Khalid Al Falih said on Thursday. India is the world's third largest oil consuming nation and is more than 80 per cent dependent on imports to meet its energy needs. Led by Modi, India has been strongly making a case for oil producers' cartel OPEC to price crude at reasonable and responsible rates. Speaking to reporters at the meeting of the OPEC, Al Falih said, "We take the views of Prime Minister Narendra Modi seriously who (like US President Donald Trump) is equally vocal about the issue. We just met him in Buenos Aires (during G20 summit) and privately he made those points very very strongly that he does care for Indian consumers and is very serious about it. I have also seen him at three times at various energy events in India where he was very vocal." "Well, President Trump is the president of the largest consuming country in the globe—21 million (barrels), I believe, or thereabouts. That's 20 per cent of global markets if not more. And the consumer in the US, just like the consumer in France, just like the consumer in India, just like the consumer in Saudi Arabia, wants affordable energy. So, he (Trump) has every right to wish for affordability of energy for the citizens of the United States and he is very vocal using his favourite communication tool which is Twitter and we hear him and we take his views seriously," he said. Ahead of the meeting, Trump in a tweet had hoped that OPEC will keep oil flowing and not take decisions that would lead to higher oil prices. "Hopefully, OPEC will be keeping oil flows as is, not restricted. The World does not want to see, or need, higher oil prices!" he had said. OPEC Thursday delayed a decision on production until it meets with other producers on Friday. West Texas Intermediate crude for January delivery lost USD 2.30, or 4.4 per cent, to USD 50.59 a barrel on the New York Mercantile Exchange. Members of OPEC concluded their meeting in Vienna, without deciding on output-cut figures. 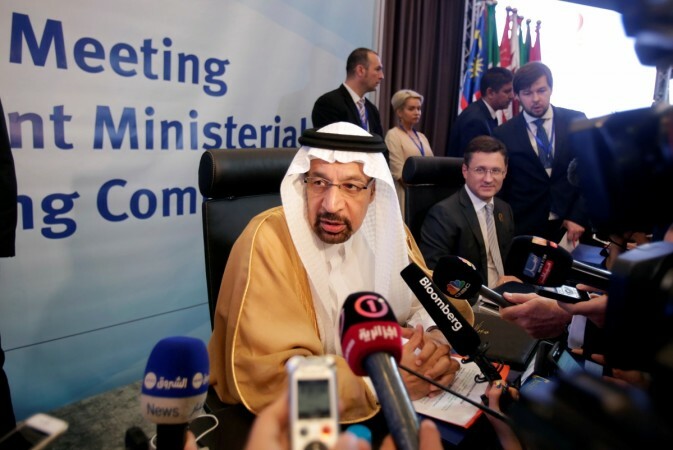 It plans to debate output figures with non-OPEC producers during their meeting Friday.